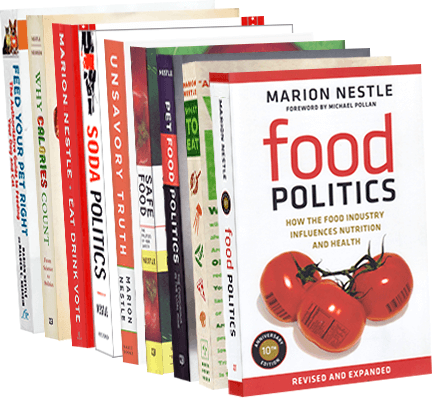 Food Politics by Marion Nestle » Let’s Ask Marion: Who’s got the power to end hunger in America? Let’s Ask Marion: Who’s got the power to end hunger in America? This is one of those occasional Q and A’s with Kerry Trueman, this time in solidarity with Food Bloggers Against Hunger. It’s posted here. Trueman: We produce more than enough food in the U.S. to feed every man, woman and child. In fact, we’ve got such a surplus that we throw away almost half of it. But more than 47 million Americans — including roughly 16 million kids — struggle with hunger. And with budget cuts undermining our food stamp program, aka SNAP, this problem’s only getting worse. Who has the power to change this shameful state of affairs, and how? Nestle: I’ve just seen A Place at the Table (a film in which I briefly appear), which lays out today’s hunger problem in a particularly poignant way. It was clear from the film that its low-income participants had to deal with what is now called “food insecurity,” meaning that they couldn’t count on a reliable supply of adequate food on a daily basis and sometimes didn’t have enough to eat. But they also had to deal with another problem: the food that they did get was mostly junk food. So the question really should be worded somewhat differently: How can we ensure that everyone in America can afford enough healthy food? I’m guessing that the makers of A Place at the Table intended it to do for the 2013 version of food insecurity what the CBS television documentary, Hunger in America, did in 1968. That film showed footage of children so starved and listless that they might as well have come from countries at war or refugee camps. What seems impossible to imagine in 2013 is the effect of that documentary. It shocked the nation. Viewers were outraged that American adults and children did not have enough to eat. Within that year, President Nixon called a White House Conference on Food, Nutrition, and Health to recommend programs and policies to end hunger, and Congress appointed the Senate Select Committee on Nutrition and Human Needs (the McGovern committee) to develop legislation. This worked. Food assistance and other programs reduced poverty and hunger. Our present-day WIC (Women, Infants, and Children) and SNAP (food stamp) programs are the legacy of that outrage. Where is that outrage today? Without it, Congress can ignore the millions of people who depend on SNAP benefits and view the nearly $80 billion cost of those benefits as an enticing target for budget cutting. Who has the power to do something decent about hunger? In a word, Congress. Unlike the situation under presidents Nixon, Kennedy, and Johnson — all of whom took decisive action to help the poor — hunger in America today is nothing but a pawn in Washington power politics. We have come to value personal responsibility at the expense of social responsibility. It’s hard for many Americans to think that we must be our brothers’ and sisters’ keepers when our own economic status feels at risk. If we can’t count on Congress to do the right thing, we have to try to create our own local food security and engage communities in helping to care for one another. This means advocacy and coalition-building on two levels: national and local. On the national level, it means exercising democratic rights as citizens to lobby congressional representatives to address poverty and its consequences no matter how futile that may seem. On the local level, it means working with community residents to address their needs. It means engaging the media to get the word out. That’s where Food Bloggers Against Hunger can help. Your job is to generate outrage and to encourage your readers to take 30 seconds and send a letter to Congress asking them to support anti-hunger legislation. Go for it! Follow Kerry Trueman on Twitter: www.twitter.com/kerrytrueman. Marion Nestle is at www.twitter.com/marionnestle.